· News Deeply reports that NOAA’s Coral Reef Watch is collecting data and working to assess the damage to coral reefs caused by marine heatwaves. Researchers hope the information gathered will help predict future events and encourage action now before the temperature spikes again. · How can funders use this information to guide efforts to protect reefs and wildlife? 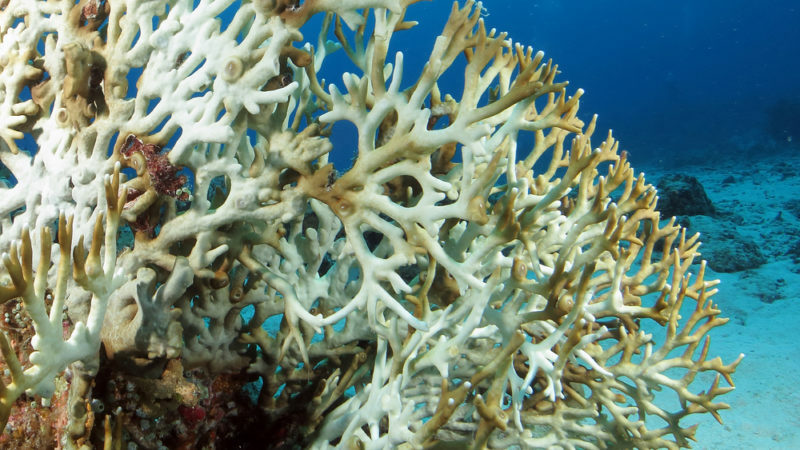 · read about coral bleaching and the effects of climate change. Read the full article about NOAA’s Coral Reef Watch by Jessica Leber at News Deeply.